Rent prices across the Big Apple moved in different directions last month, according to the Douglas Elliman rental survey for July. However, rental inventory showed a consistent upward trend in Manhattan, Brooklyn and Queens. First American released its Real House Price Index, which reflects inflation factors such as shifts in income and mortgage rates. With the RHPI standardized at 100 to represent home prices in 2000, New York City holds a Real Price Index of 79.6. The current index reflects a 2.4 percent year-over-year drop, showing that NYC home prices are less of a financial burden than they were in 2015 and slightly less than in 2000. 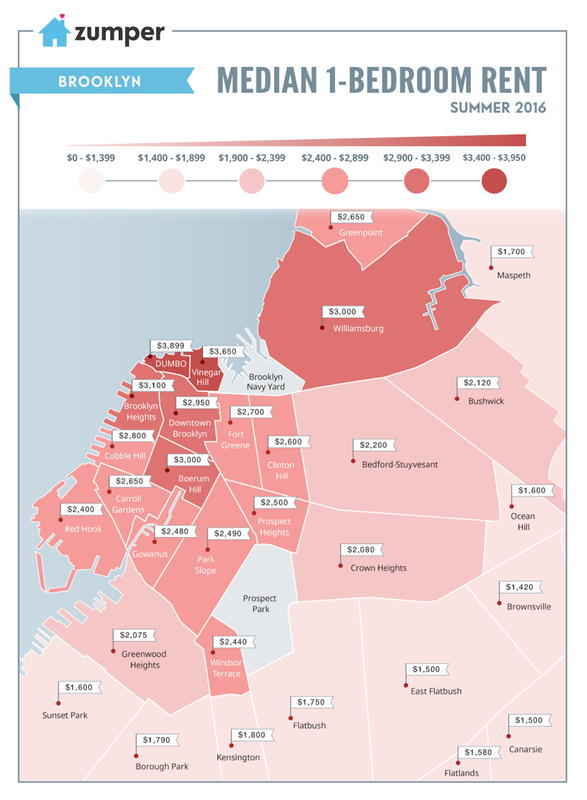 Infographic: How much is it to rent a one-bedroom in Brooklyn?